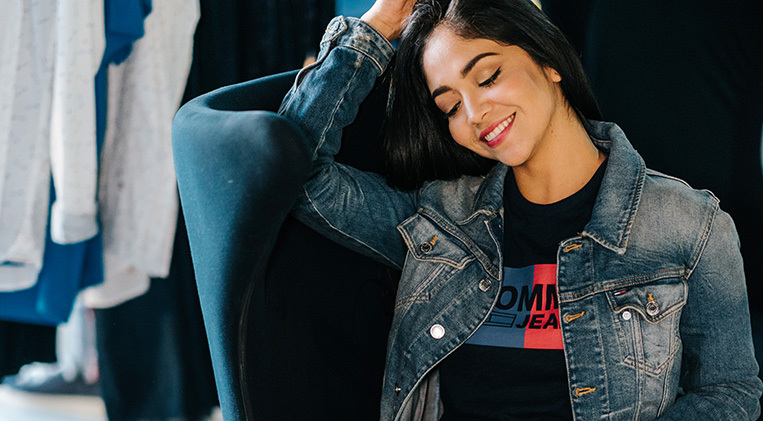 Hilfiger Denim embodies the youthful essence of the American spirit through its fusion of music, fashion and rock-n-roll lifestyle. This is a contemporary mixture of styles that harmonizes the diverse influences from America?s inspiration. Hilfiger Denim celebrates association with the music world. There?s a strong connection between Hilfiger denim?s distinctive fashion collections and the cutting-edge sounds. It allows people to express exactly how they are, with ease. Hilfiger Denim sums up the cool attitude and style.